Book a space on one of our exciting holiday camps! A 45 minute class for children walking to 2 years. 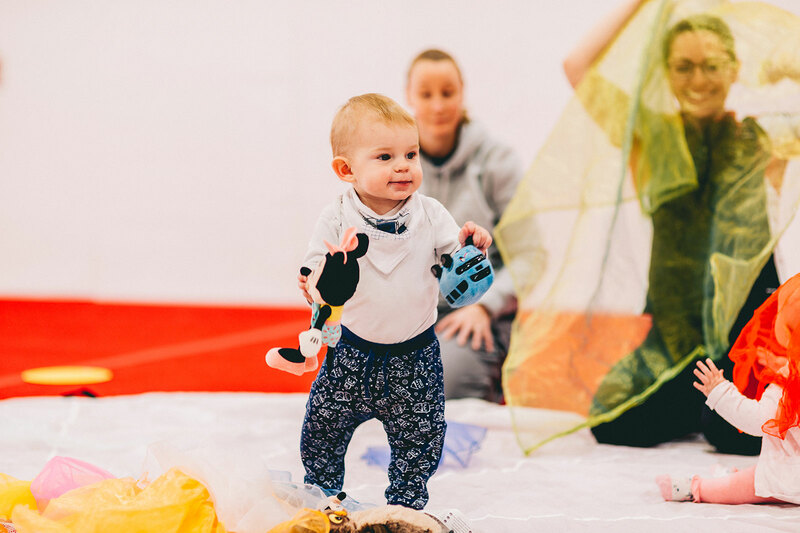 These classes are designed to stimulate the child’s senses and challenge their new found independence of walking & climbing. The session begins with a 15 minute warm-up with music and hand apparatus, followed by 25 minutes of exploring gym apparatus in free following rotations and a 5 minute cool down. This is a wonderful session to enhance the relationship between adult and child. Sessions cost £6.05 each paid in a termly amount. No need to pay insurance as parent and child sessions are covered under our public liability insurance. Stay for an extra 15 minutes and enjoy a 1 x complementary hot drink, 1 x child’s squash, biscuit and gossip! 10% discount for those who receive benefits. Please email finance@cambridgegymnastics.co.uk and we will arrange a reduced priced invoice after receiving documentation of proof. All data is confidential. If you are interested in joining this class, contact us via our online enquiry form.